Golf Winners: Here’s Another – Jerry Graves Wins TV After Ace! Here we go again – another one of our hole in one winners, paid out by Hole In One International! This time, a 32″ Panasonic LED HDTV was awarded to Jerry Graves of Wink, TX. Graves aced the par 3 7th hole on the East Course of the Green Tree Country club during the 2013 MGA Gusher Golf Tournament on June 20, 2013. The hole measured 151 yards and it was aced with Graves’ 8 iron. Did you know? Hole In One International awards golf winners with not only an insured grand prize, but auxiliary prizes on the other par 3 holes of the golf course as well, so long as they’re a minimum of 135 yards. Additionally, with every hole in one policy you book with us, we will throw in complimentary signage, as well as a coupon for a free tee prize at teeprize.com! Interested in purchasing a hole in one insurance policy? Give us a call at 800-827-2249, or email us for more information! Congratulations, Jerry! We hope you’re enjoying your new HDTV! 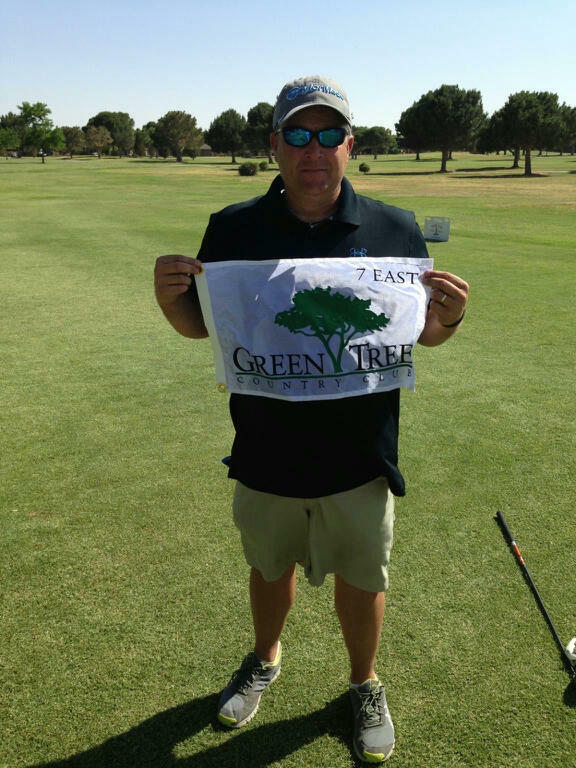 Home » Blog » Golf Winners: Here’s Another – Jerry Graves Wins TV After Ace!